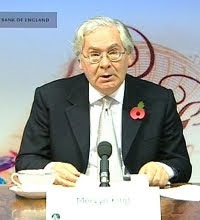 Mervyn King told MPs just now that no amount of regulation is going to stop banking, as it is, from putting the economy at risk in the way it has. The problem as far as he was concerned was that bankers would always take risks as long as they thought the Government was going to bail them out, which it always has. His basic thrust was that we shouldn’t restrict the size of banks, and we shouldn’t bring in loads of regulation. 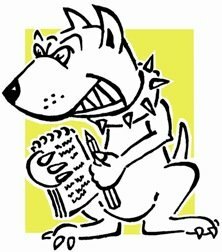 We should instead fundamentally alter the banking system so as to remove the expectation that Government’s would bail out banks, while protecting the people at the bottom, (mortgage holders/savers), if a bank goes down. The market would do the rest. Oh, and he added that it was going to take 50 years to get stability in the system. That’s all sorted then.